Steve the Magic Conductor amazes and amuses the entire audience with his Shoe Steam Cleaning Machine! 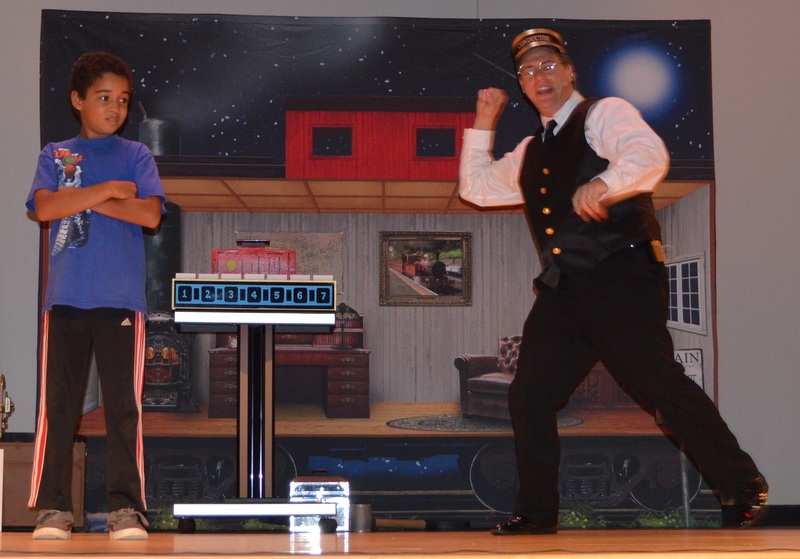 Steve the Magic Conductor brings train themed magic adventures to libraries, schools, theatres, museums, special family events, holiday parties, Christmas parties, and train themed birthday parties! Here is a look at some of the magic and fun he can bring to your next event! 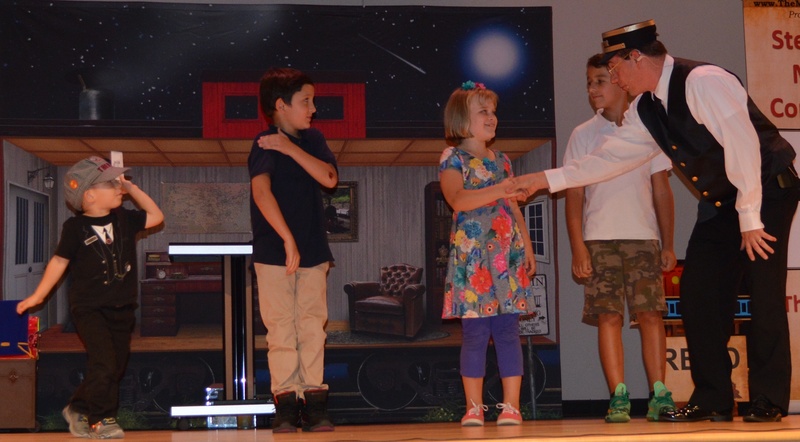 Posted on November 12, 2015 Tags birthday magic show, birthday party, birthday party magician, christmas party, chuggington party, family entertainer, hire a magician for birthday party, holiday party, jumbo train ticket, kids parties, magic illusion, magic train ticket, planning a train themed birthday party, railroad party, school assembly, steve the magic conductor, thomas and friends, thomas and friends party, thomas the tank engine, train illusion, train themed birthday partiesLeave a comment on Steve the Magic Conductor amazes and amuses the entire audience with his Shoe Steam Cleaning Machine! Add some magic to your train themed birthday party! Add some magic to your train themed birthday party! Does your child love Thomas the Tank Engines? Do they talk about and play with trains all day long? If you are planning a birthday party for a child that loves trains then a train themed birthday party is a no brainer! Add some magic to your child’s birthday party by inviting Steve the Magic Conductor and one of his Train Themed Magic Birthday Party Shows! Posted on November 12, 2015 November 12, 2015 Tags birthday magic show, birthday party, birthday party magician, chuggington party, family entertainer, hire a magician for birthday party, kids parties, planning a train themed birthday party, railroad party, steve the magic conductor, thomas and friends, thomas and friends party, thomas the tank engine, train themed birthday partiesLeave a comment on Add some magic to your train themed birthday party! Party Tip for planning a Birthday Party with Entertainment! Planning a birthday party is a lot of work. First you need to pick a date and make sure everyone is available. Then a theme, and you need the cake, and decorations and ….ENTERTAINMENT! Whether you are planning a train themed birthday party or not, if you are planning on having entertainment, a magician, clown, costume character, singer/band, balloon artist, or face painter, you want to make sure your guests are there when the performer is ready to start. Many professional birthday entertainers are busy, especially on weekends. Most are willing to be flexible by 10 minutes or so, but if they have to travel and be set for another party they probably won’t be able to start 30 minutes late to wait for that one cousin who is always late. My suggestion is to always let your guests know that you have entertainment at your party and when it will begin. For example, the party starts at 12 noon and the birthday party magician will start his show at 12:30PM and the show ends at 1:15PM. That way your guests know that you have an entertainer at your birthday party and when the show starts and finishes. This will help make your event a little less stressful for you and your party entertainer and in the event that someone misses the show, you won’t feel like you did anything wrong. Looking for train themed entertainment for your child’s train themed birthday party, invite Steve the Magic Conductor. 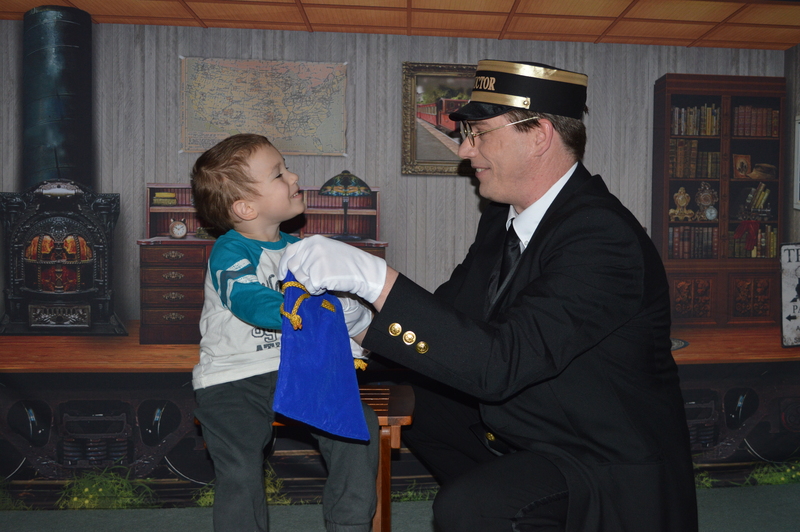 Steve the Magic Conductor will make your child’s next train themed birthday party unforgettable! Posted on November 4, 2015 Tags birthday magic show, birthday party, birthday party magician, chuggington party, family entertainer, hire a magician for birthday party, kids parties, planning a train themed birthday party, railroad party, thomas and friends party, train themed birthday partiesLeave a comment on Party Tip for planning a Birthday Party with Entertainment! All Aboard for some Train Themed Magic and Fun! Let’s see how tall you are! All Aboard for some Magic Train Fun! Posted on October 17, 2015 Tags birthday magic show, birthday party, birthday party magician, chuggington party, family entertainer, hire a magician for birthday party, kids parties, magic illusion, planning a train themed birthday party, railroad party, school assembly, steve the magic conductor, thomas and friends, thomas and friends party, thomas the tank engine, thomas the tank engine cake, train themed birthday partiesLeave a comment on All Aboard for some Train Themed Magic and Fun! Planning a train themed party with everybody’s favorite #1 Engine? Don’t forget the cake! 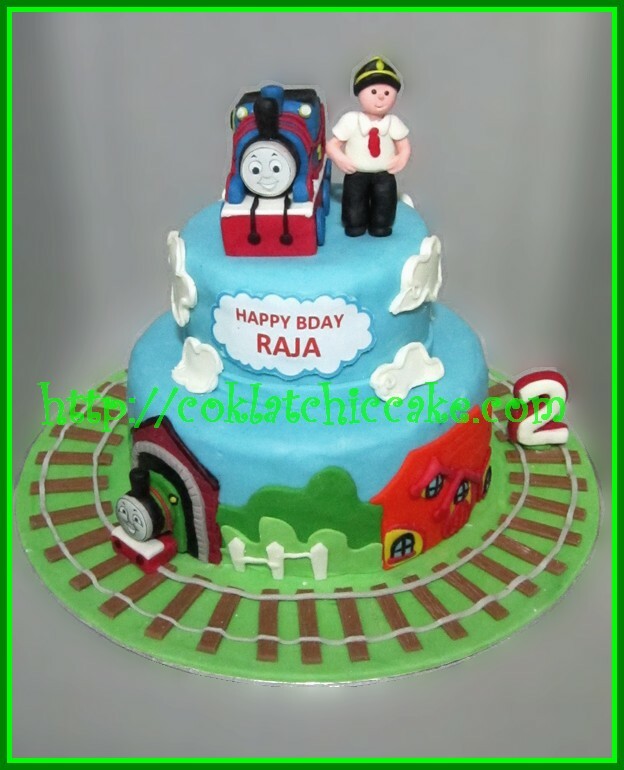 and your child loves Thomas the Tank Engine, be sure to check out these fun and colorful train themed cakes! Posted on October 15, 2015 October 15, 2015 Tags birthday magic show, birthday party, birthday party magician, family entertainer, hire a magician for birthday party, kids parties, planning a train themed birthday party, railroad party, steve the magic conductor, thomas and friends, thomas and friends cake ideas, thomas and friends party, thomas the tank engine, thomas the tank engine cake, train cakes, train themed birthday partiesLeave a comment on Planning a train themed party with everybody’s favorite #1 Engine? Don’t forget the cake!